This is a set of 2 pre-designed pages. One page is for a marathon and one page is for a half marathon. Papers and elements in the templates can be moved around and changed. These files are NOT flattened quickpages. 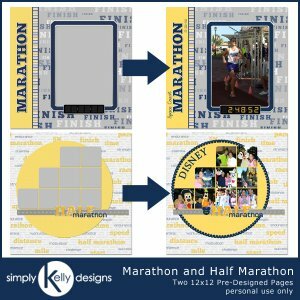 There are also ten numbers 0 through 9 for the race clock in the Marathon pre-designed page.